Scary Work – Love. Life. Practice. In case you’ve missed it, I’m soliciting ideas for a Practice to take up in July. Amanda & Emma have some interesting ideas; why not contribute yours? Today is a ridiculously luxurious day. I have no appointments. 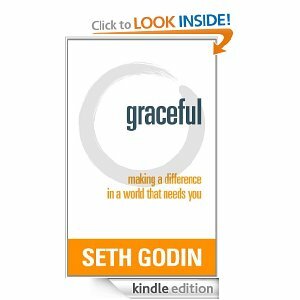 This morning I got to wake up when my body told me I should (5:45am, thanks to jet lag), sit, make some coffee, and read a bit of Seth Godin‘s book Graceful (affiliate link). You may recall that “grace” is one of my favorite words, one of the Big Three that I chose as touchstones back in my goal-setting days. Seth’s take on it is a little different – he looks at grace as more of a creative act, of looking at the world from a framework of abundance and contributing to it through adding kindness and inspiring others. All very well and good (it is, like most of his books, a quick and worthwhile read) but there was a different theme in the book that caught my eye. He spends a lot of time talking about the “lizard brain” and the way our enculturation towards the factory and mass-production mentality discourages people from taking off into the unknown. Much of it echoes Steven Pressfield’s War of Art (affilia- look, if there’s a link to Amazon, just assume it’s an affiliate link, ok?) where the Fear is what keeps us from trying something new. Fear of failing, fear of the unknown (Here be monsters, as Havi might say), fear of change. That last is a biggie – not necessarily fear of the outside world changing, but of changing yourself. If I do this, then when I’m done I may not be the same person I am now. Regardless of whether you like that person, it’s the person you’re used to, and who knows what the next occupant of your psyche might look like? What if nobody likes the new you? What if the new you doesn’t have space for that car you like, those guilty pleasure foods, the big house or the full bookshelf or the surround-sound gaming system? What if the new you fails? 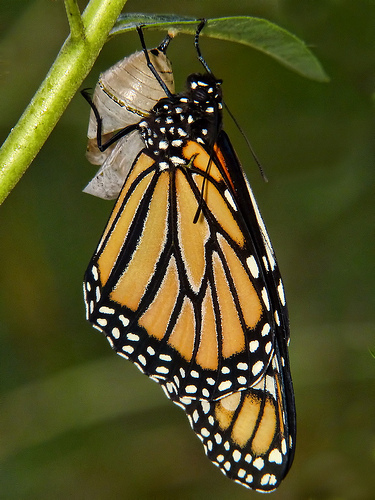 Fear of failure can keep you from changing your paradigms no matter how many nickels are in your pocket. Failing helps you see how far is too far, failing helps remind you that failing isn’t fatal, and most of all, failing opens you up to succeeding. The answer, of course, is so what? Maybe you didn’t fail; maybe you just succeeded in identifying a path that didn’t work. You can give thanks that you didn’t invest more time in that path, and find one that is more suitable to you. Fail hard, fail often, and at some point you’ll get so good at it that you’ll fail at failing, and succeed. The only work that matters is the work that’s a little bit scary. What? All that stuff about how fear is bad, but now we’re supposed to be immersing ourselves in scary work? Yep. Because the fear is a beacon, a signal; it is information. Information is neither good nor bad, it is only your reaction to it that may result in unintended consequences. You listen to that fear, you pay attention to it without giving it the power of making you react, of turning into full-fledged anxiety. No, you take note of where the scary is, and you prepare yourself, and head towards it. That’s what fear is; it’s an opportunity to be courageous (“Life favors those who move in the direction of greatest courage” as Franklin Veaux put it). It’s knowing that moving in that direction will change you, and being willing to accept that change, even though it’s unknown. It’s being able to break out of where we are, let go of what we wish would be, and just become who we can. I think you know exactly what your July habit will be, my friend. You answered the question with this post. Do something scary every day.